The second album from the Clauberg Opera, ‘Church’, is here and it’s a change in pace, style and direction from their debut ‘New Folk Devils’, and even their prior un-signed recordings from 2004. Things have taken a turn for the mellow. Compared to the uncompromising, pumped-up earlier releases, the newest album takes it down a notch, replacing the rib-breaking industrial backing with angelic choirs, beautiful piano pieces and slow, daunting harmonics. The Bransholme, Hull-based quartet, who initially quote their influences as diverse as Killing Joke, The Cure and Oasis, have diversified away from their original rough-as-sandpaper sound to something spectacular, while maintaining their intellectual principles and rock ‘n’ roll presence. 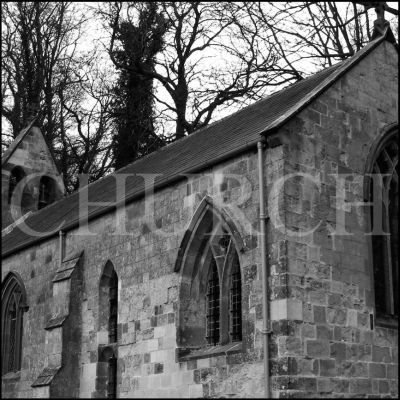 One feature of the newest record that stands out from other generic, uninspired releases is the location it was recorded; various churches in the Yorkshire area were utilised for this collection, and somehow carries along with it a very distinct sound. 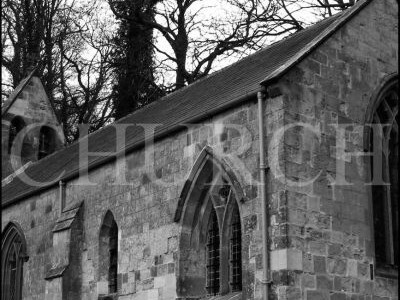 The fact that much of the album was recorded in churches massively lends itself to the sound, and indeed the artistic direction of…erm, ‘Church’, and is noticable in every aspect of the massively varied tracks. Huge, beautiful vocal sections are reminiscent of choir practise, not only in their range of perfect harmony but also the innocent wisdom of the lyrics. The band, who dabble in industrial punk, have a strong skill for weaving ambience, gospel, and soul into one huge tapestry of chaos. On occasion, the distinct style of the album tends to conjure up religious imagery, from the choir-esque vocals and huge scale of sound, which creates a particularly eerie atmosphere, like ‘Songs Of Praise’ on acid. The Opera are a fascinating band chiefly because they are like nothing else you have ever heard…really…seriously…we mean it. Occassional sections roughly reflect the bands influences (The Cure), or incidental similarity to other bands’ output (Alabama 3), but it is impossible to compare the band with any other artists as their material is simply too different. Instead of any sort of vocal hook or repitition, the band create an isolated, distant sound, and to this effect, refuse to be pigeon-holed into any one genre. The album is a varied, whole-hearted affair, with all four members contributing to an epic, soul-chilling album, with a variety of songs that range from military drumming and echoed screams, to lay back and spark up piano sets with the perfect blend of sombre imposition and skilled keywork. The drums are scarce and precise in songs like ‘Hallelujah’, punctuating the ambient, building piano, whereas in other tracks, for example ‘The Suffering’, the harsh beat punches through the gentle athos like a chav smashing through a shop window. The vocals, a particular strongpoint of the band, are poignant and humble: there is a sublime scale and effect of the voice, hauntingly drifting through bleakness of tracks like ‘Cross My Path’ and raising the hairs on the back of your neck with a powerful chorus in ‘On The Wharf Of Lethe Waiting’. The highlights of the album, without a doubt, are the beautiful vocals of ‘On The Wharf Of Lethe Waiting’, the operatic ‘Midnight On Half Moon Street’ and the aforementioned (and “grimly relaxed”) ‘Cross My Path’. This album is well put together, original and well worth a listen. The definition of expanding your musical horizons.